Private trips for all sorts of special occasions. Lookout Cruises can accommodate weddings, wedding parties, rehearsals, receptions, and bachelor(ette) outtings. You pick the time and location, either on the boat or on the Cape Lookout National Seashore. We can cater through many of Beaufort’s fine restaurants. 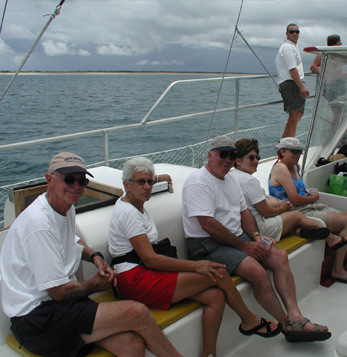 Birthday, graduation, retirement, corporate outings, or any other event can be held on board our catamaran. Catering through our many different local restaurants is a must! We always enjoy having church and school groups on board our vessel! We can provide hotdogs and chips or catering with local restaurants.